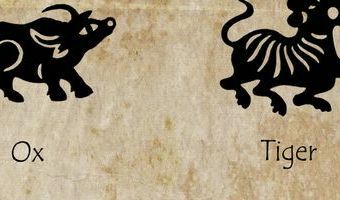 Chinese New Year 2019: What’s your zodiac love match? Millions across the world are getting ready to gather with friends and family to celebrate the Chinese New Year. Chinese New Year is traditionally marked with the giving of gifts and dazzling lantern festivals, as well as guessing what the year's Chinese zodiac sign will mean for the coming 12 months. Based on the Chinese calendar, the celebration starts on the last day of the last month of the lunar cycle and ends on the 15th day of the first month - which means the New Year can begin any time between January 21 and February 20. What is the Chinese New Year animal for 2019? In 2019, the start of the lunar year begins on February 5 - ushering in the Year Of The Pig. There are 12 zodiac animals and, a bit like western astrology, your sign is thought to influence your strengths, weaknesses, best matches and fortune during different years. When a person's animal coincides with the zodiac year, their Ben Ming Nian, it is supposed to mean bad luck. What's in store for the Pig this year? Due … [Read more...] about Chinese New Year 2019: What’s your zodiac love match? When is Chinese New Year and what’s your zodiac love match? Millions across the world are getting ready to gather with friends and family to celebrate the Chinese New Year. Chinese New Year is traditionally marked with the giving of gifts and dazzling lantern festivals, as well as guessing what the year's Chinese zodiac sign will mean for the coming 12 months. Based on the Chinese calendar, the celebration starts on the last day of the last month of the lunar cycle and ends on the 15th day of the first month - which means the New Year can begin any time between January 21 and February 20. What is the Chinese New Year animal for 2019? In 2019, the start of the lunar year begins on February 5 - ushering in the Year Of The Pig. There are 12 zodiac animals and, a bit like western astrology, your sign is thought to influence your strengths, weaknesses, best matches and fortune during different years. When a person's animal coincides with the zodiac year, their Ben Ming Nian, it is supposed to mean bad luck. What's in store for the Pig this year? Due … [Read more...] about When is Chinese New Year and what’s your zodiac love match? Will you be celebrating the Chinese New Year? PUBLISHED: 16:26 07 January 2019 Sophie Barnett Pupils from Wilby Primary School celebrating Chinese New Year in 2018 and learning Chinese Ribbon Dances. Picture: ROISIN WISEMAN Find out what zodiac animal reigns 2019 and when people will be celebrating the Chinese New Year. Pupils from Wilby Primary School celebrating Chinese New Year in 2018 and enjoying a Chinese lunch, equipped with chopsticks. Picture: ROISIN WISEMANOn Tuesday, February 5 people will celebrate the annual event which is also commonly known as ‘Spring Festival’ and ‘Lunar New Year’. Chinese New Year occurs on a different date every year as it is based on the lunar calendar.This year the celebration lasts for two weeks finishing on Tuesday, February 19, however preparations begin earlier on Monday, January 28 until New Year’s Eve – this period is known as the ‘Little Year’.A lantern festival then takes place for four days after the New … [Read more...] about Will you be celebrating the Chinese New Year?